Toyota’s TRD line-up could soon expand, as the RAV4 crossover might get a spicy, new version in the near future. Maybe RAV4 isn’t the first model that comes to mind when you think of Toyota Racing Development division, but neither was the Tacoma TRD Pro and yet Toyota took the wraps off the model at the 2016 Chicago Auto Show. Toyota General Manager Bill Fay referred to its development during the 2016 Chicago Auto Show. Fay was present to introduce the latest model in the performance series, the 2017 Tacoma TRD Pro. Currently, the TRD Pro Series also includes performance versions of the Tundra and the 4Runner. Of course, this isn’t a direct confirmation, but a comment like this from someone like Fay means it’s almost a certainty. While a RAV4 seems as unlikely a candidate for a performance version as anything Toyota makes, there might be some sense behind this decision. More than a few motorsport enthusiasts were surprised when Toyota announced plans to go rally racing with a soccer mom-friendly RAV4. Raising our eyebrows even higher, the Japanese car maker has revealed that the rally-bred tech could find its way to a limited-edition version of the RAV4 in the not-too-distant future. Toyota already has an unofficial rally version of the RAV4 in the form of a modified RAV4 built by Rhys Millen, which uses a stock drivetrain with a beefier suspension. Fay hinted the TRD’d RAV4 would take inspiration from Millen’s rally car. Rhys Millen will make use of the FWD crossover in NASA’s Rally Sport series, going after both the Atlantic Cup and Pacific Cup and will additionally contest a number of Rally America events. Accompanied by his fiancée and navigator, Christine Fate, Millen hopes to build on his four wins last year in the Rally America West series. The crossover built to compete in Rally America is based on the entry-level LE trim, but Toyota has removed about 500 pounds by gutting the interior and replacing the front windows with Plexiglas units. It rides on 15-inch alloy wheels wrapped by BFGoodrich all-terrain tires, and it gains a custom designed suspension setup that’s lower and firmer than stock. TRD hasn’t made any major mechanical modifications, meaning the rally car uses a 2.5-liter four-cylinder engine that generates 176 horsepower and 172 lb-ft. of torque. 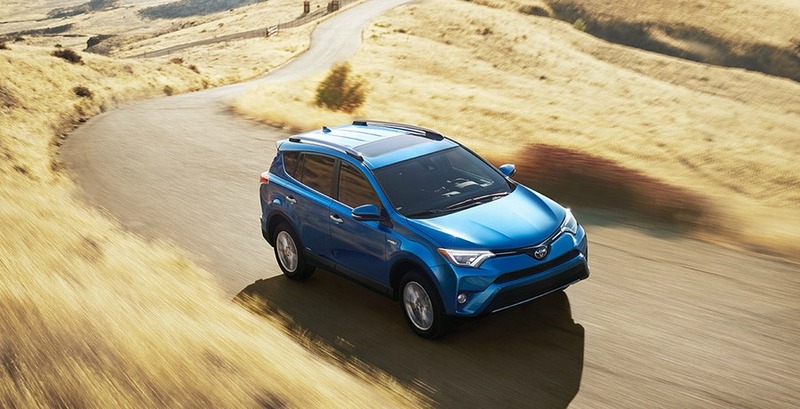 The RAV4 was built to compete in the 2WD-Open class, so it’s fitted with a six-speed automatic transmission that sends power to the front wheels. Performance specifications haven’t been published. Toyota would have something unique in a RAV4 TRD because no one else offers a performance version of a compact crossover. It could create a halo effect in a crowded market. Unfortunately, Toyota has yet to officially confirm the development of the RAV4 TRD Pro. As such, its release won’t be expected any time soon. We’ll hear more about the Toyota RAV4 TRD in the coming months. When it lands, it’s expected to carry a base price of about $30,000. Keep in touch with Elmhurst Toyotafor news and updates.